Wow! This is gorgeous! I loved the blue shade! Ushio looks so beautiful here and Haine got a sweet mischievous look! Thanks a lot for scanning and sharing this beautiful image! wow. I love it. The details on the flowers and their clothes is beyoung words. 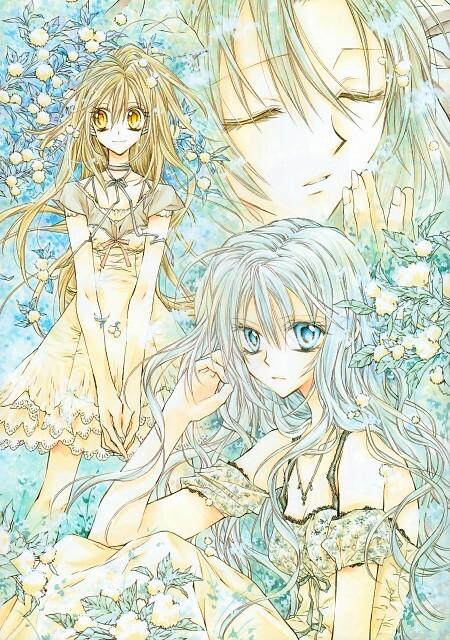 ushio is soo beautiful here...tanemura sensei has definitely improved a hell lot with her drawing! love both of them... Ushio really is pretty! thank you for sharing! Thank you for sharing ^^!